"Ladies and gentlemen, I fear that our ship has struck a snag and is sinking," he announced. This statement was greeted with gasps of horror from those assembled. "I wonder," the captain continued solemnly, "if there is anyone among us skilled in the art of prayer?" The frightened passengers nodded wisely to one another. Yes, a prayer at such a perilous time was a very good idea. After a moment's hesitation, a young clergyman stepped forward. "I have some skill in praying," he said. 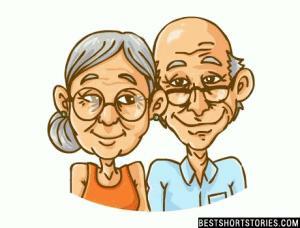 Next Funny Short Stories: "Oldtimers"